Facebook announced the removal of the Bullet Train demo from its virtual reality experience booth at CPAC (Conservative Political Action Conference) after public outcry in light of the recent mass shooting at a school in Parkland, Florida. 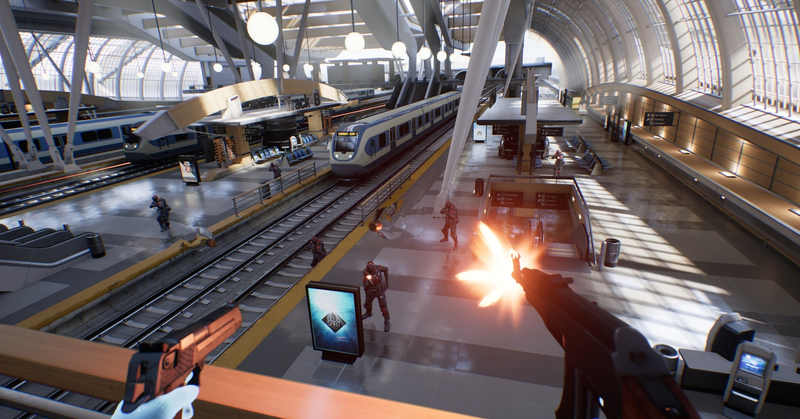 Developed by Epic Games to help show off the Oculus headset’s VR capabilities back in 2015, Bullet Train has the player rampage through a futuristic train station shooting armored guards and a giant automated drone boss. It’s part of an anthology of short VR experiences Facebook uses to demo the hardware at various events, including at CPAC this week. The social media company recently decided to remove Bullet Train from the setup after public outcry over the optics and timing, spurred on by videos and screenshots circulated by Now This News and others. Facebook also came under fire this week for its platform’s part in helping to promote and circulate made-up conspiracy theories about victims of the Parkland school shooting. Videos calling surviving students who went on to speak out against gun violence and the country’s failure to address the recent epidemic of mass shootings “crisis actors” were able to find a large audience due in part to how algorithms distribute information on social media without much apparent concern for its veracity. 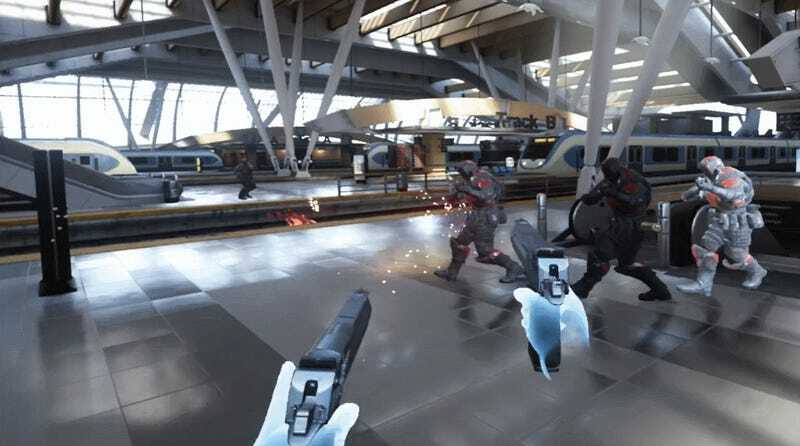 Facebook then showing off a VR demo where the player shoots up a train station at a political conference where the NRA features prominently, and where its president, Wayne LaPierre, told attendees during a speech that the pro-gun lobbying organization bore no responsibility for mass shootings didn’t sit right with many. At the same time, there are lots of video games that are much more violent than Bullet Train, and come without the layer of removal provided by a hackneyed looking futuristic backdrop setting. And after the President and other prominent politicians have tried to shift blame for shootings away from loose gun laws to things like violent games, music, and movies, it’s hard not to see Facebook’s most recent mea culpa as anything other than yet another diversion. Perhaps instead of pulling VR demos from a marketing booth at a political conference, the company could do a better job of taking down smear campaigns going viral on its website about the victims of school shootings.